Terms such as all-star band and super-group should generally be used with care, particularly since quite a few people tend to apply them all too generously and frequently. 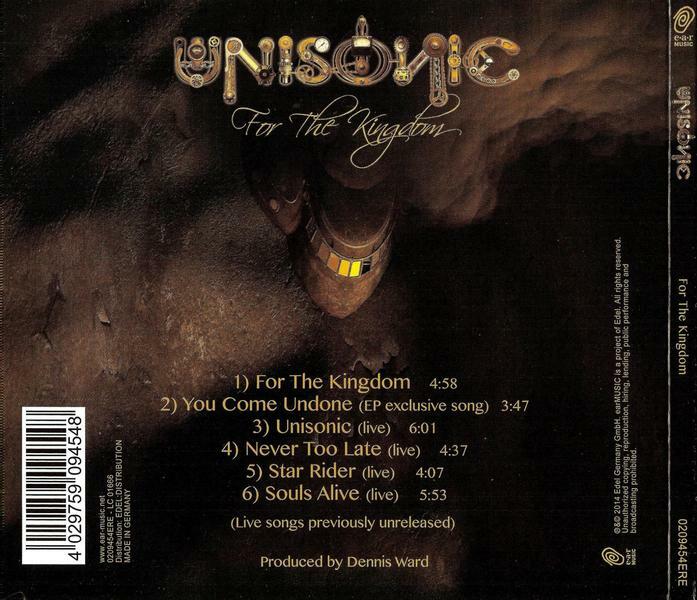 Mind you: in the case of the new band, UNISONIC, an at least enthusiastic choice of words is certainly called for, in view of the fact that this exciting new group not only consists of accomplished masters of their genre – namely Michael Kiske (vocals), Kai Hansen (guitar), Mandy Meyer (guitar), Dennis Ward (bass) and Kosta Zafiriou (drums) – but also of some of the most renowned musicians from the European rock and metal scene. No wonder that a great stir has been caused behind the scenes (and occasionally also in front of them). Their first EP IGNITION has been scheduled for release on earMUSIC/Edel on 27 January 2012, followed by their eagerly awaited self-titled debut album on 23 March 2012. 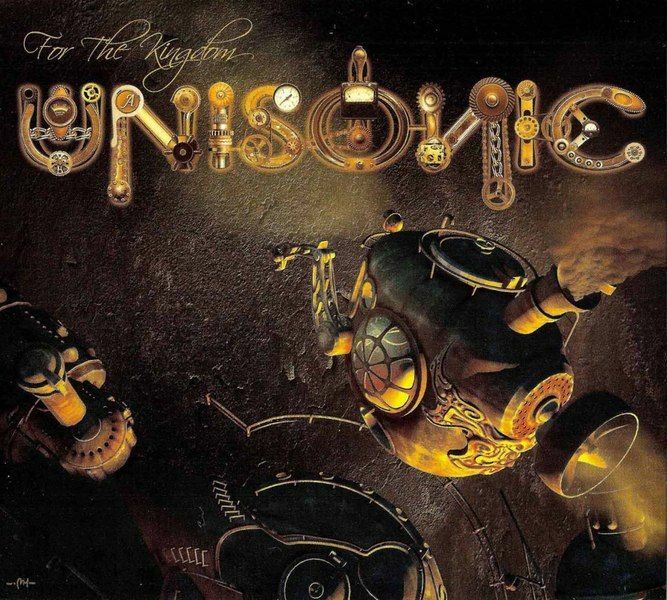 In view of the unmistakable media stir there can be no doubt: UNISONIC are currently on everybody’s lips!The artistic “antecedent” of the five band members requires no explanation. As we all know, Michael Kiske was a member of Helloween between 1986 and 1993 and was responsible to a considerable degree for the international breakthrough of the band from Hamburg. 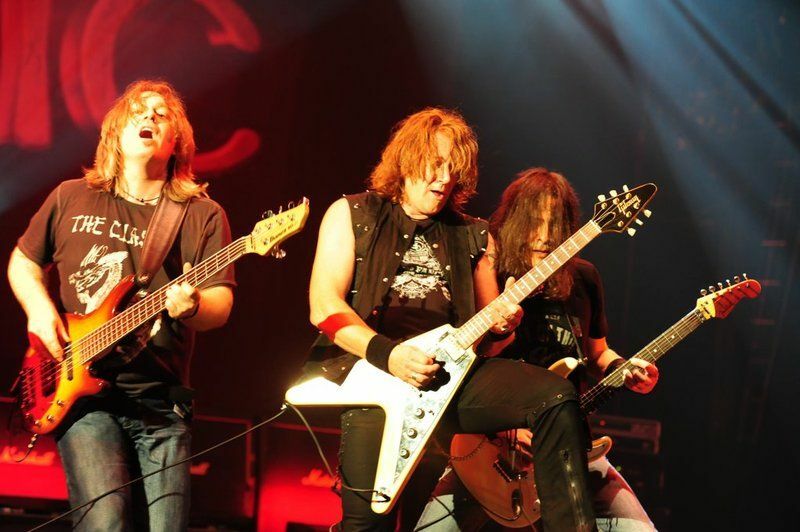 Kai Hansen was the guitarist and one of the main composers of Helloween before going on to found the successful Gamma Ray and continues to be considered a constant of the melodic metal community. Bassist Dennis Ward and drummer Kosta Zafiriou are familiar to fans and media from Karlsruhe’s Pink Cream 69, who experts have always considered the epitome of refined (rock music) taste. In addition, Dennis Ward has earned himself an excellent reputation as the producer of numerous successful releases, his references ranging from Angra and Axxis through House Of Lords and Krokus to Primal Fear and Place Vendome. Last but not least Mandy Meyer: the guitarist from Switzerland was a member of Gotthard from 1996 to 2004 and part of the Krokus fold until 2008.UNISONIC got together in autumn 2009, originally as a quartet (without Kai Hansen) and left their first artistic marks at the Masters Of Rock Festival in the Czech Republic and the Swedenrock Festival in summer 2010. Both performances were special for Michael Kiske in particular, who was in the mood for a proper band again following his successful collaboration with Dennis Ward and Kosta Zafiriou in Place Vendome: “No matter how good you are as a solo artist, a real band generates so much more energy and gave me a good reason to perform live again after 17 years. I’m thrilled to be able to play live with UNISONIC!” When Kiske found himself back on stage with Kai Hansen for the first time as a guest during Avantasia’s world tour and the old magic between the two former Helloween musicians returned, the idea was born to expand the UNISONIC quartet into a quintet. Following unanimous approval from Meyer, Ward and Zafiriou, Hansen was confirmed as the permanent fifth man.The band members agree that things cannot be done by halves in this band and that the group perspective will continue to have a high personal significance for all involved. 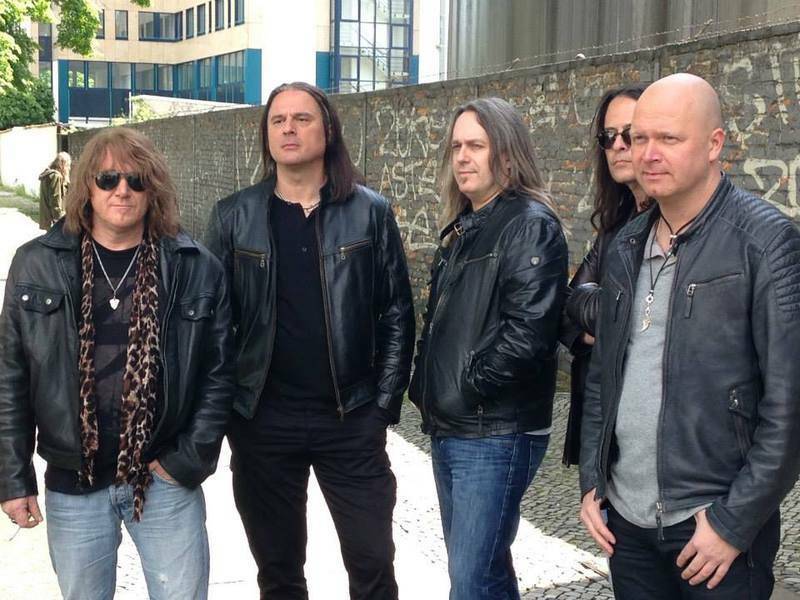 “The world doesn’t need another pure project,” comments Kai Hansen, who – together with Ward and Meyer – is responsible for the song writing in UNISONIC and has had a clear vision from the beginning: “I’d define our style as a tougher variety of hard rock, sounding very flexible and diverse yet all of a piece.” He is referring to tracks such as the straightforward title song ‘Unisonic’ which combines all the band’s fortes and stylistic characteristics, but also anthemnic numbers such as ‘Star Rider’, orchestral-atmospheric pieces such as ‘No One Ever Sees Me’ (penned by Michael Kiske) and experimental tracks like ‘I’ve Tried’. Hansen: “The typical UNISONIC style was consolidated at the very latest during our first rehearsals together, particularly when Dennis and I discovered that we are on absolutely the same wavelength in terms of our musical direction.”UNISONIC will allow the (rocking) facts to speak for themselves from January 2012: along with the two album tracks ‘Unisonic’ and ‘My Sanctuary’, the EP will feature a version of the Helloween classic ‘I Want Out’, recorded at the 2011 Loud Park Festival in Tokyo/Japan, and a demo version of the album song ‘Souls Alive’. The band cut a total of 14 numbers for the full album in autumn 2011, twelve of which will probably make it onto the debut release.Walking of the Loud Park Festival: the amazing reactions to the first shows by this impressive band show how much euphoria UNISONIC have already caused. “It really was amazing,” says Kai Hansen, still impressed. “It was the first time that we were on stage with our current line-up as a quintet, and it really was great fun. We can hardly wait for the next gigs.” A headlining tour of South America and Asia has been scheduled for April/May and fall 2012, in between the group will go on to play a number of European summer festivals. Truly great things are in store, especially since all the important parameters are there – a four-track EP, a full album, a number of concert recordings, and of course – as the name suggests – a new band with a unique sound: UNISONIC! 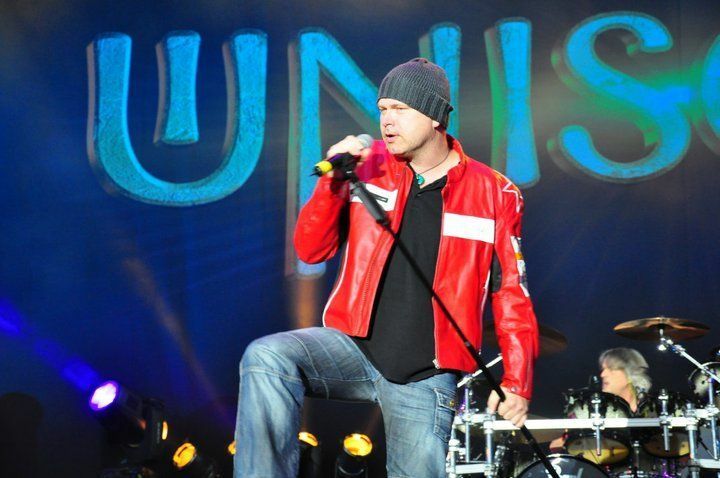 Two years after their acclaimed debut album, the German hard rock supergroup Unisonic reports to Michael Kiske and Kai Hansen (both formerly Helloween), bassist Dennis Ward (Pink Cream 69), Mandy Meyer (Krokus, ex Asia and Gotthard) and drummer Kosta Zafiriou (ex. PC 69) back with a new album on 25 July 2014.As an introduction to their highly anticipated sophomore EP "For The Kingdom" appears on 23 May with two new songs and four live tracks.Is again produced by bassist Dennis Ward "For The Kingdom" a total of six tracks to be strong and contains the brand new album song "For The Kingdom", which is also new song "You Come Undone", which exclusively appear only on this EP, as well as four Live recordings from the Masters Of Rock Festival 2012 in Czech Republic, in which Unisonic an acclaimed show played, which are available only on this EP.Unisonic’s new EP is a perfect appetizer for their sophomore album and includes enough exclusive material. With the exception of the self titled song, the remaining 5 tracks can only be found on this EP.“For The Kingdom” is a thumping melodic power metal song and a very successful future album track. Fast double bass drumming, an epic chorus, some exquisite alternating guitar solos and Michael Kiske’s crystal clear and powerful vocals round off this triumphant number. This is the song that many fans were expecting to hear on the band’s debut album and it is finally here.“You Come Undone” is a catchy melodic hard rocker with a positive attitude. The song is carried by a rockin groove, a confident and energetic vocal performance, a good chorus and another successful guitar solo battle. The result is a very good exclusive song, which raises expectations for the quality of the full length album.The remaining 4 tracks are live recordings from Unisonic’s Masters Of Rock Festival 2012 performance. All songs are performed well and retain their live feel, but the stand out ones are the successful debut album opener “Unisonic” and the atmospheric “Star Rider”.All in all, a strong EP that whets the appetite for the full length album and creates great expectations.